I've finally finished my August gift for my Secret Sister. 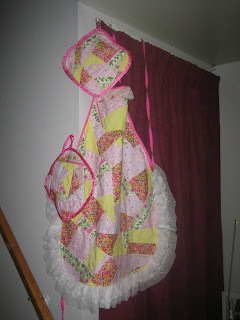 One of the things on her list was aprons... so I went with her favourite colours: pink, yellow and red... and come up with this! I think it turned out beautifully. I so hope she likes it.